What are you working on for Duke right now? "Post about whatever Duke related stuff you're doing"
Dunno if anyone saw, but I fixed the Polymer issue yesterday. Still hunting for the cause of the bug affecting level progression. Any progress on MD3 normals? Nice, a close-up of the Cycloid's Enormous Tool. This latest push introduced a bunch more bugs and I need to study Zen Meditation in order to look through the diffs and find them all. 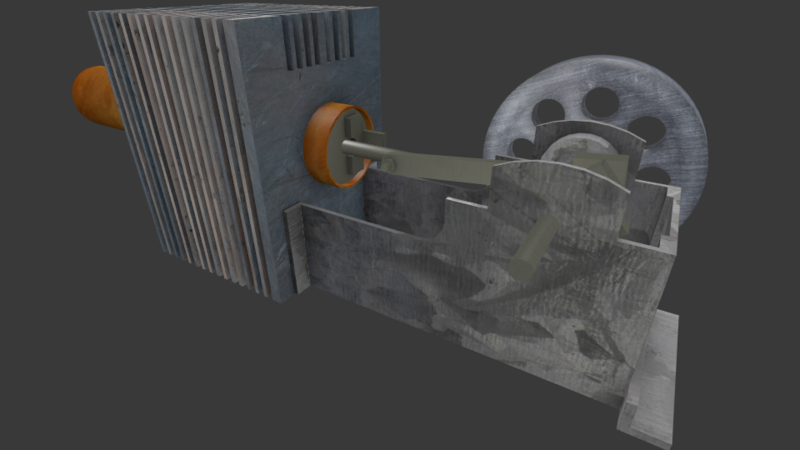 Here's an update on my Stirling engine. Almost done. What level of mine would be complete without a freezer with a blue Octabrain in it? Probably the smallest (and most cramped) freezer that I've ever made so far. If you say you've never had any problem with doors in Build Engine games, you're a liar. I'm only working on individual maps now. However this map is actually a sequel to my other map EDF Outpost. Maybe one of these days, I could turn these maps into a episode (Although I'm not sure if Mars Donalds would fit in though). You could make Mars Donalds the secret level in the episode. PS: BTW how does the lightning look in comparison to my earlier pics? Does it still look dull and unrealistic or does it look better? Finally the Stirling engine makes some kind of sense It's already full animated. 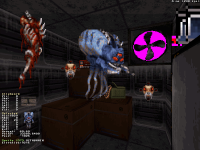 The dodecahedron is an alien radar that has to be destroyed. Now it's time to make the map. What do you think about the combination of highres-models/textures and classic style? I'd like to keep the monsters, weapons etc. as sprites and use classic textures mostly. This will keep the framerate high and loading times low. I think it will look good as long as you have a consistent style that doesn't clash with the 8-bit assets. In your screen, for example, it looks fine because the model is very industrial, almost like it could be made out of sectors. It's looking much better now that you're adding lighting. The only thing I could suggest would be to make sure that when you have walls that are perpendicular to each other, that you give one of them a different shade (2-3 values) different from the one next to it. Mia Max - You can use Blender's edge split modifier to clean up those edges and make the flat surfaces actually look flat in game. The machines look good, but they stand out from the sprites and textures. 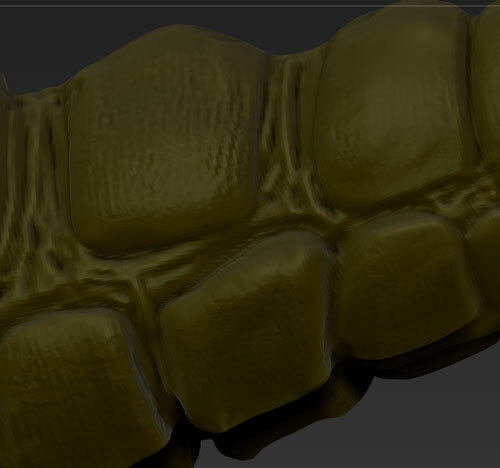 Maybe pixelate your textures a bit or make the textures use a more contrasty skin to try and help them blend in a bit. Where does this sprite come from actually ? 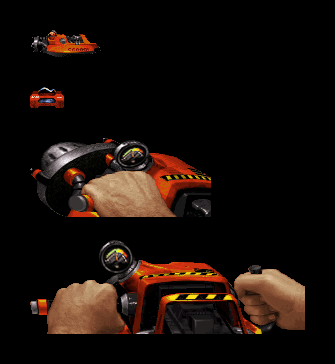 Is it taken from the upcoming "World Tour" thing or is it an unused sprite for the what the Freezethrower was meant to be in beta with a higher resolution ? Do you know a other way to make surfaces look flat? In Blender, it is possible to mark sharp edges in Edit Mode. But this won't bring the same result. Here is another pic of the original in "shooting stance" for comparison. Edit : Someone please code it to work and behave like we can guess it does from the trailer video and screenshot! Damn, this whole World Tour thing brought me back to Duke once again. And now I'm into mapster once again, mapping a new idea. 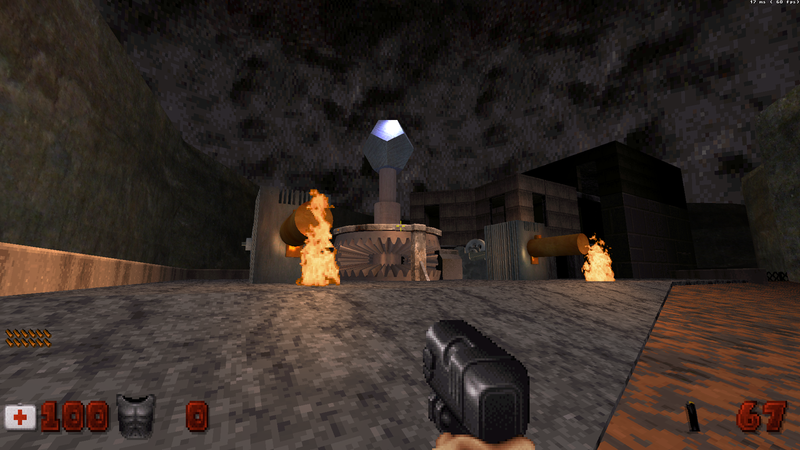 And for this time, it's gonna be a Duke3D vanilla map. 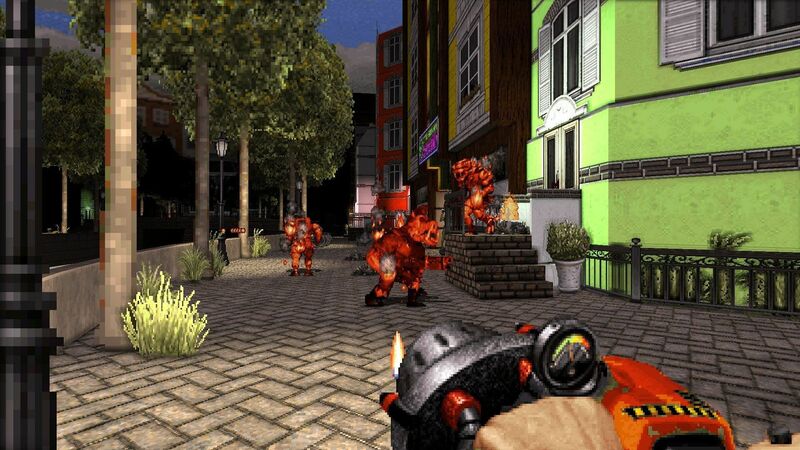 Oh well, Duke3D, you're one kind of a beast! The edge-split modifier usually works for me. You can just set all the faces to 'flat' rather than smooth, but you loose any control you have that way. Remember that with MD3's it will break smooth groups on UV islands. You can use that to your advantage and create islands of what you want flat. One other answer is to add more geometry. Loke has made a teaser trailer for the AMC TC Episode 3. The episode is slightly past the half-finished mark. In case it isn't obvious, the egyptian levels draw a lot of inspiration from Powerslave and other egypt-themed games. It looks great! Reminds me of 3DR maps now. Oh boy look at all this Powerslave art! No, but I do like what I see. Another idea I'm thinking about playing around with once I've finished Part 3. I like the second one generally, but I think the first one will work better, and be more visible on the backgrounds you used in the first one.